Entrepreneurship is a dream come true for small business owners. Unfortunately, one of the major reasons small businesses fail is partially due to their finances. That's when poor accounting methods, or no accounting at all cause dreams to go unmet. Small business owners should keep in mind that it is almost impossible to operate without cash. Great accounting records will keep you in the loop and up do date on how your business is doing financially. Using bookkeeping software such as quickbooks will keep your income and expenses organized throughout the year and also make tax filing much easier. Personal use of business funds can also become a major downfall for small and new businesses. Small business owners must have the discipline to keep their business and personal finances totally separated. Opening a business checking account will help validate your operation to the IRS as a business versus a hobby. We absolutely understand that "precise" accounting is fundamental to the success of any business. Precise Taxes, LLC goes above and beyond to understand each of our clients unique needs to design custom solutions that exceed expectations.We are here to relieve you from the hassle of working on your business while you focus on working in your business. 1. Type of Business - You will need to decide the type of business entity you are going to establish. 2. Types of Taxes - The type of business you run usually determines the type of taxes you pay. 3. Employer Identification Number - A business often needs to get a federal EIN for tax purposes. 4. Recordkeeping - Good records will help you monitor the progress of your business, prepare your financial statements, identify source of receipts, keep track of deductible expenses, prepare your tax returns, and support items reported on tax returns. 5. Accounting Method - Each taxpayer must also use a consistent accounting method, which is a set of rules that determine when to report income and expenses. 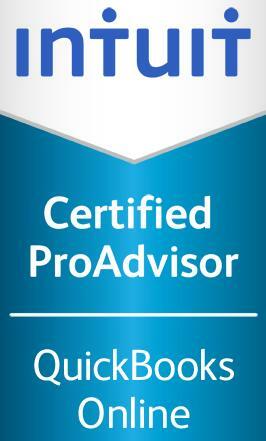 4 - Allow your Accountant/Proadvisor to sign you up and receive additional discounts.